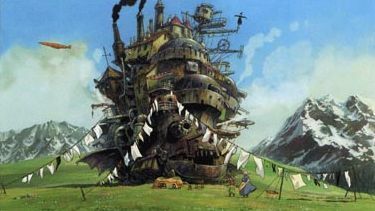 past its welcome entry in the Venice Filmfest, Miyazaki‘s Howl’s Moving Castle is out commercially in Japan [official movie site here]. its sad though that Disney owns all Studio Ghibli work for US releases. Miyazaki’s works are galaxies away from the current Disney content, its not funny that they profit from his films.